Francis Ng Chun Yu in the crime film opened on June 21st, THE LEAKERS (SIT MUK JEH MOON), played a tough Hong Kong cop. With the Malaysian policeman Julian Cheung Chi Lam he investigates a shocking conspiracy behind a pandemic. This time Chun Yu's performance was rather on the spot. His character was both brave and smart. Without any regard for his own safety, he was a mad man who only knew to squeeze himself dry and use every trick in the book to investigate a case nonstop, day and night. Thus he looked sloppy in the film. For his character he even grew out his hair and dyed it blond. He even got himself fat for a pot belly. Chun Yu said, "I deliberately messed up my hair and gained weight. I don't know how fat I got, I just wanted to have some belly. That way I would match the character even more. In the film Siu Wan (Halina Tam) and I are a couple. This time she isn't selling fish balls, she is a police officer. She is very sharp, unchanged despite the years. She still looks the same." In the film Chun Yu only had his mind on finding the mastermind and the leakers' identities. He was too busy to go home, which became the trigger for end of his marriage with his wife. 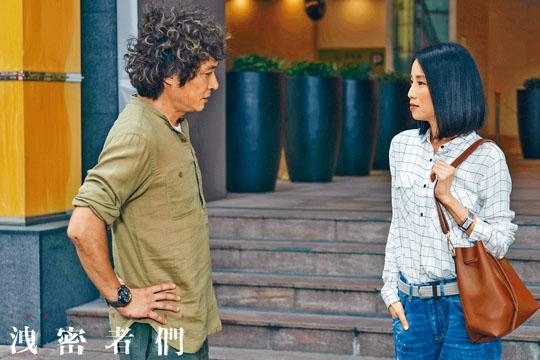 Chun Yu's performance of how tough a divorced cop could be was completely convincing.